Who doesn’t love snacks? They are one of life’s greatest guilty pleasures. With companies like NatureBox, they don’t have to be so “guilty” at all. You can have your snack and enjoy it with a clear conscience knowing that you’re actually doing your body a favor by consuming healthy, balanced, and natural ingredients prepared in an utterly delicious manner. This is the main idea behind NatureBox, a service that delivers snacks to your doorstep, both at your home and at your office. Read this honest NatureBox review to learn more. 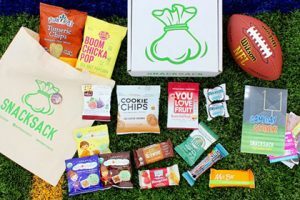 This smart snack delivery company, as NatureBox advertises itself, can allow you to easily order snacks and improve your eating habits. You visit their website, check out their catalog, and add whatever snacks you like to your shopping cart. It’s that simple. 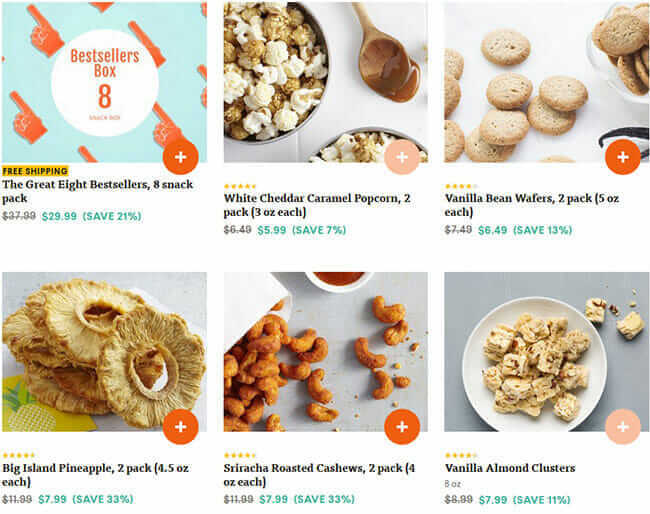 The catalog is neatly divided into categories based on nutritional facts (from gluten-free, low sugar, and sodium snacks to vegan, high protein, and fiber-rich snacks) and on taste. It is important to note that NatureBox is a members-only club. If you don’t have an account, you will be asked to create one at checkout and become a part of the company’s growing family of satisfied members. Speaking of membership, the first month comes free of charge. After that, it costs $5 per month. The $5 you invest in your membership fee go to your credit and can be used for your next purchase. NatureBox also offers special perks and discounts to its members. For example, you get up to 40% off all the snacks, which is definitely a nice perk. Customer support is available via live chat on the NatureBox website and there is also a support form for email inquiries. We did not find a support telephone number on the website, but other support options seem to be quite speedy and efficient, which makes up for the lack of phone support. 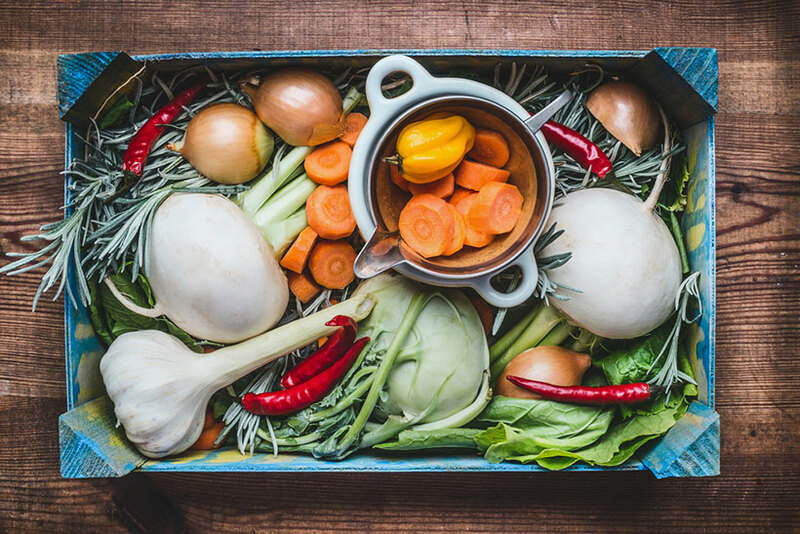 The first thing that sets NatureBox apart from other similar services is the fact they are very careful about what kind of food they send to their clients. We are talking healthy snacks here, which means the items you will be receiving are carefully designed by nutrition experts. In other words, these snacks contain all the essential nutrients you need to function optimally. Not just that – they also offer snacks for people with special dietary needs, whether it is by choice (vegan, non-GMO, etc.) or due to health issues (low sodium, no sugar, gluten-free, fiber-rich snacks, and so on). The company has a very wide coverage area and even includes some regions that are often neglected by delivery companies, such as Alaska, Hawaii, US territories, and military bases. NatureBox also offers office snack boxes, ideal for companies that want to keep their employees both healthy and happy by offering nutritious, balanced, and yummy snacking choices. NatureBox only uses 100% recyclable boxes and materials, which is great news for all those looking to reduce their impact on the environment. Another great thing about this company is that if you get a snack you don’t like, you can contact customer support and ask for a store credit in the amount equal to the price of the said snack. 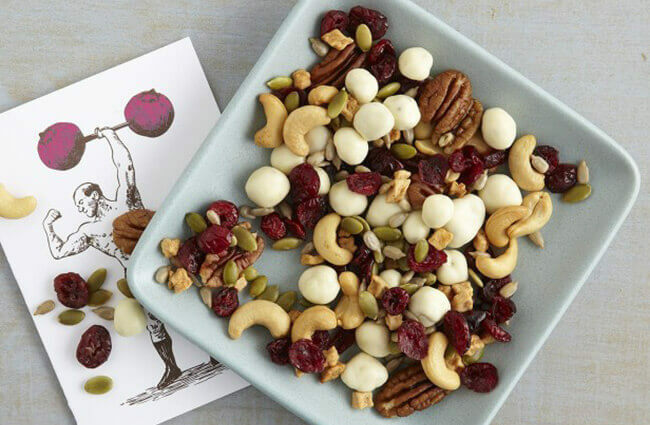 NatureBox delivers healthy, natural, and balanced snacks to your doorstep or office. By snacks, we mean anything that doesn’t count as one of the three main meals – just something to keep you going between breakfast and lunch or lunch and dinner. You can pick any number of snacks you want to receive. We have to say their catalog is quite impressive and definitely mouthwatering. The items range from classics such as various trail mixes and nut and seed mixes, cookies, and granola bars to dried fruit, wafers, and crackers. There are some surprising and even exotic options available, such as Aged Cheddar Lentil Loops, Garlic Plantains, Strawberry Carrot Fruit Chews, and Kung Pao Pretzels. In addition to individual snacks, there are also snack packs, including Cheese Lovers, Spicy Lovers, and Chocolate Lovers 4-snack packs. Each snack or snack box has its own price, which is somewhat higher than the cost of snacks at supermarkets, but then again, these are not just any snacks – their quality and nutritional value are obviously exceptional, which shows in the prices. Just to give you an idea, dried mango (3.6 oz) costs $5.49, Mini Peanut Butter Oatmeal Cookies (5 oz) cost $3.79, Harvest Nut Mix (4.5 oz) costs $4.49, and Apple and Cinnamon Oatmeal (12 pack) costs $17.99. As we said earlier in this NatureBox review, all NatureBox members get up to 40% off all items. The prices of unlimited office plans, which bring you all-you-can-eat snacks for a fixed price, charged monthly, start at $12 per employee, which amounts to only 30 cents per day. 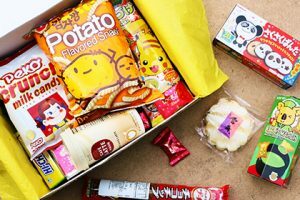 When it comes to the prices of gifts, the 6-snack gift box costs $36.99, the 12-snack box is $59.99, the 20-snack gift box costs $89.99, and the 50-snack box comes at the price of $204.99. Keep in mind that these are the regular prices. As a member, you can save up to $35 on gift boxes. 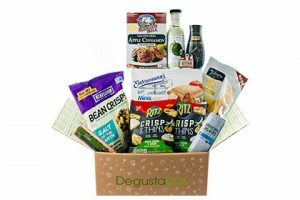 NatureBox also offers gift boxes, ideal for various occasions, with carefully selected and combined snacks. There are 4 options to choose from: Just A Taste (6 snacks), More Please (12 snacks), The Full Spread (20 snacks), and It’s A Party (50 snacks). All gift boxes come with free delivery and make lovely presents for just about any occasion. NatureBox has quite a wide delivery coverage area. They deliver anywhere in the United States, including Hawaii and Alaska, as well as Canada, US territories and protectorates, and even military addresses. Delivery is free for purchases of $25 and up, except for Hawaii, Alaska, Canada, US territories, and military addresses, where it costs $4.95. The same price applies for orders under $25, regardless of the location. To make sure NatureBox meets all your standards and expectations, it is important to know its biggest advantages and disadvantages. With a short overview of its pros and cons, you can easily decide if NatureBox is the right company for you. NatureBox is a good choice for people who can’t imagine life without snacks but still want to be in control of what they’re eating and what kind of nutrients they are getting. 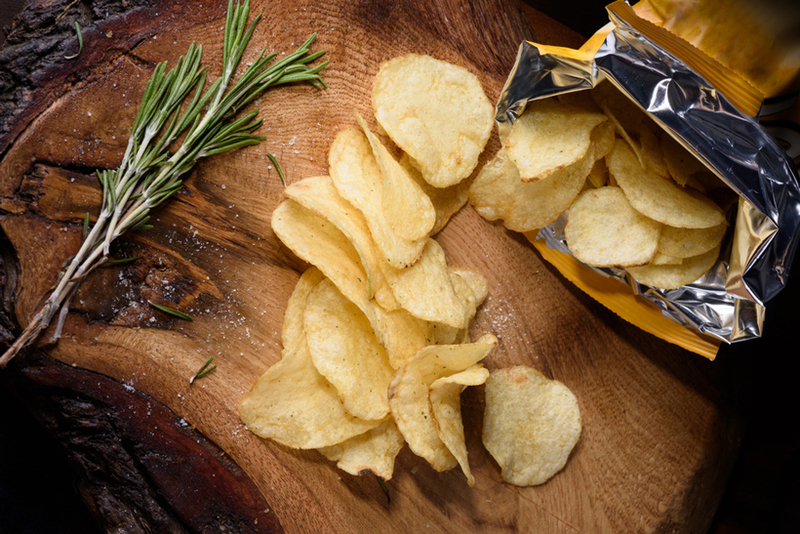 Some of the company’s more ‘exotic’ snacks are absolutely delicious and mouthwatering, but for those who are not exactly adventurous when it comes to the food they eat between meals, there are plenty of classic options available as well. Whatever type you choose, with this service, you can enjoy healthy snacks of the highest quality, try out new foods, and surprise your loved ones on any occasion. Our ratings are the result of an objective and independent evaluation of NatureBox, generating the final rating that reflects the overall quality of the product. Ratings may change as the service changes. NatureBox user rating based on 3 user reviews. Too pricy and not as amazing as I thought. Everyone in the office loves the snacks, we honestly recommend you give it a shot! Not a fan of everything I’ve tried, but pretty good and convenient. We found 2 verified NatureBox promo codes for April, 2019. 30% Off Get an extra 30% off your first 3 purchases, max $15 value per purchase! Free Shipping Click here and enjoy Free Shipping!! !